Just like Miss Parton, if I’m given the choice between one salty pretzel or a whole pan of brownies, I’ll pick the pretzel every time. I love salty snacks that much. So it would follow that I’d be a huge fan of potato chips, right? Nope. To these tastebuds, deep fried potato chips are greasy, too salty, and actually too crisp, especially the thick cut “kettle cooked” chips. Bleck, why eat a snack that requires a shower afterward? I do love potatoes, however, and I adore anything “sour cream and onion” flavored. 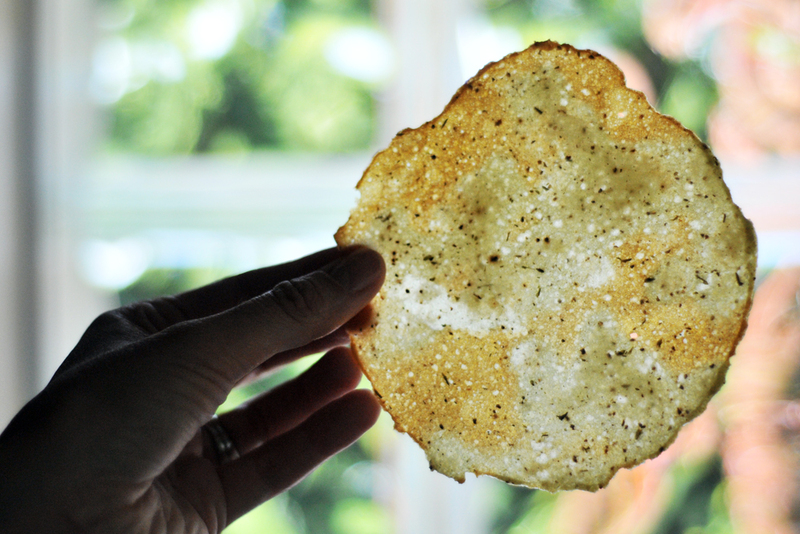 So I figured out how to make homemade baked potato chips that were thin, crispy, and not at all greasy. The recipe is something like a tuile, in that they’re baked rounds of thin batter made up of egg whites, starch, oil, and seasonings. Instead of flour and sugar though, these tuiles are made with instant mashed potatoes. I know, I know, instant mashers can hardly be considered food, especially when prepared as directed. 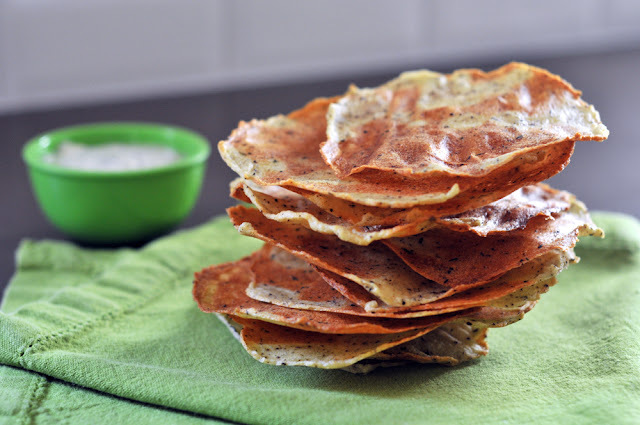 BUT, make a thin batter with them and add a little onion-chive-garlic seasoning blend and you’ve got a stack of incredibly thin, airy, potato crisps that are very hard to stop eating. Plus, they’re a lot healthier than the chips in a bag. I think Dolly would approve, don’t you? 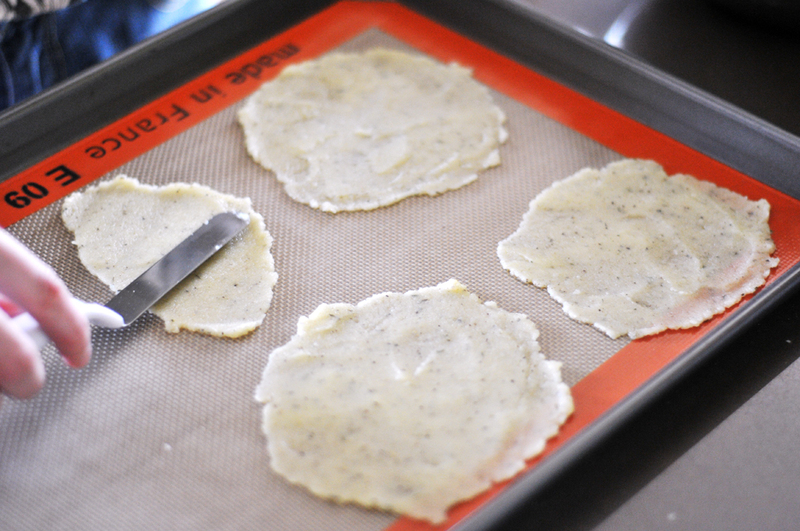 Preheat oven to 350 degrees F. Line 2 rimmed baking sheets with Silpat mats or stiff (bleached) parchment paper. In a medium mixing bowl, whisk the egg whites until frothy. Add the water, olive oil, potatoes, and seasoning blend. Stir until smooth with a rubber spatula and set aside for 5 minutes. Drop even tablespoons of the batter onto the prepared baking sheets (6 crisps per sheet) and use an offset spatula to spread the batter out evenly into 3-inch rounds. This takes a bit of practice, but after the first few, they get easier to smooth out fully. 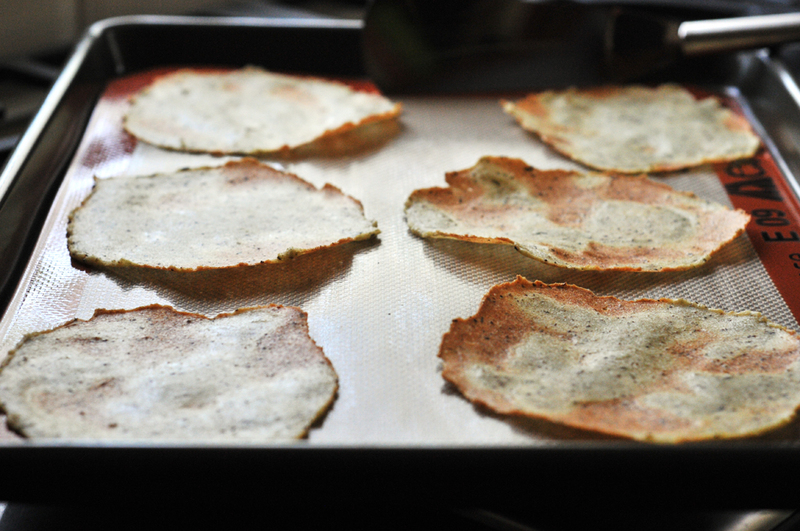 Bake the crisps for 20 to 25 minutes, rotating the pans once during cooking, until the crisps are golden brown. Transfer the crisps to a cooling rack. (You may need to return a few of the crisps to the oven to further dry them out while the others cool.) Keep in an airtight container for up to 3 days. Oh Esabal, that does sound nice…potato crisps layered between mushrooms. You could easily make the crisps into rectangular shapes to make it look fancier. Let me know how it goes/went! could you use a pasta makers to create thin sheets or ribbon shapes? 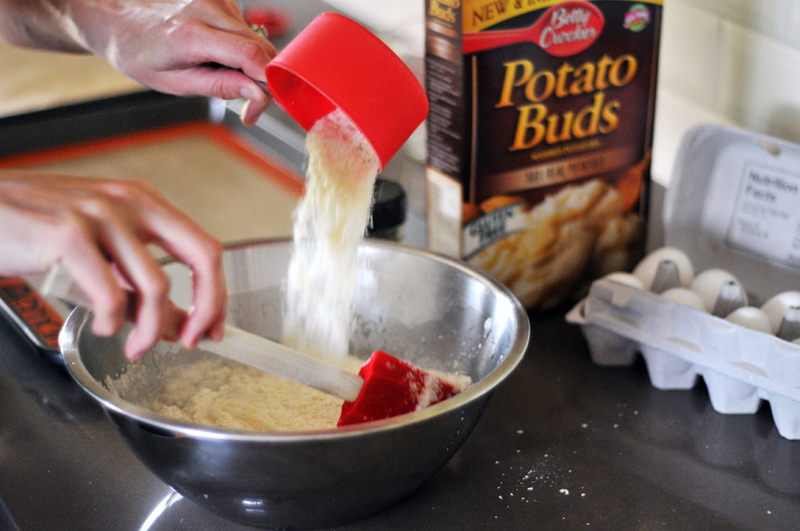 This recipe makes a thin batter, so no, a pasta maker won’t work for this particular recipe. Good question!